First thing's first! Go to www.GerberU.com and select the registration link. Fill out the required fields to gather your account information. Once you've completed the registration page, you will receive a couple of confirmation emails, one of which should contain your temporary login credentials. If you don't see anything in your inbox, make sure to check your spam folder! 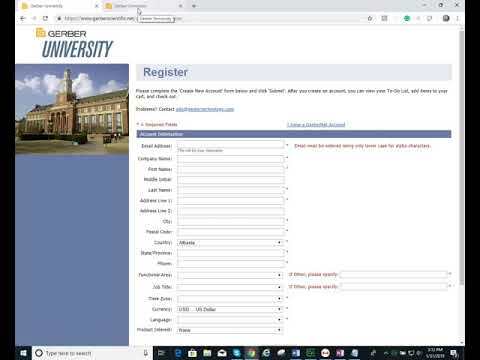 After you've set up your account, go to the Gerber U website, and select the login link. Enter your new username and password to sign in. This will direct you to the Gerber University home page where you can view upcoming course catalogs and register for classes.